ExPO Signature Home Care can assign a caregiver who will provide you or your family member with assistance with Activities of Daily Living (ADL). 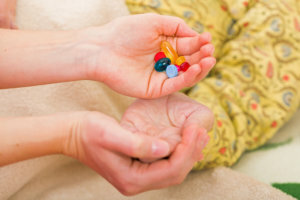 It is very important for a senior loved one to be guided in taking medication. Their health is highly at risk when they forget to take their scheduled intake or when they take the wrong dosage. At ExPO Signature Home Care, our caregivers will help the senior by reminding them about the schedule to take their medication and guide the senior in identifying the right dosage to take. Caregivers will also keep the family members informed of the available stock of medication that the senior has. This prevents the senior from running out of medication and be at risk of missing an intake schedule. We can also coordinate with the senior’s pharmacy and/or physician to make sure that a prescription order or medication refill is arranged before the current supply at home runs out. Interested in learning more about this service? Call us now at 732-851-4126.